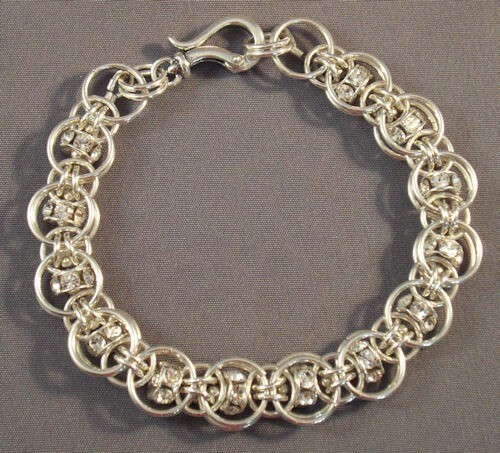 The Celtic Rondelle Bracelet is a wonderful example of combining some easy beading techniques with chain maille. The rondelles are threaded on beading wire that is run between the chain maille chain that you build. It has a great presence on the wrist without being overpowering. There is a nice amount of sparkle and shine. The kit can come with or without rondelles, the choice is yours. The clasp is not included. This is a beginner project.